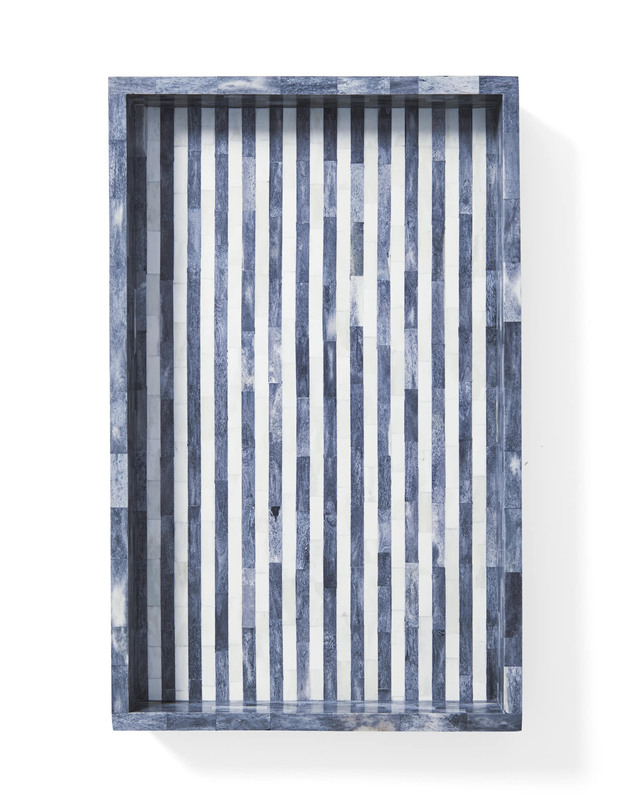 Bar Harbor Bone Inlay TrayBar Harbor Bone Inlay Tray, Denim alt="Bar Harbor Bone Inlay Tray, Denim"
Print Blue and white is a pitch-perfect palette we’ll always love. So we took that colorplay and paired it with the ancient art of inlay. Slender striping in bone tile gives the kind of sophisticated detailing and handcrafted pattern pop that shines. Undeniably chic. Handcrafted of bone and medium-density fibreboard. Silicon feet keep it in place. 24”L x 15”W x 2.5”H.